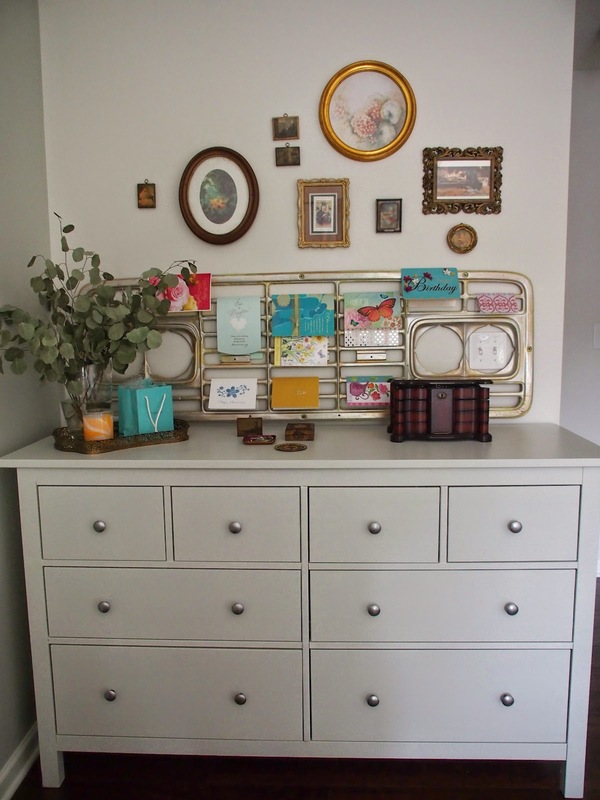 I recently put the finishing touches on our re-vamped bedroom dresser. 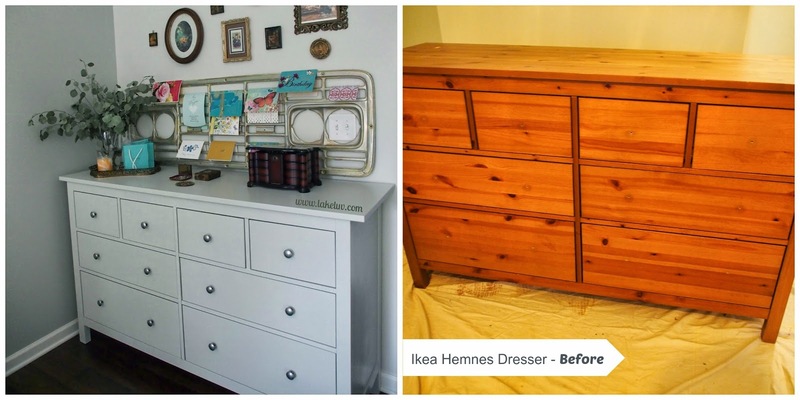 It was a sturdy and reliable Ikea Hemnes dresser, with 8 roomy drawers but a scratched up top and a color that no longer matched our master bedroom. 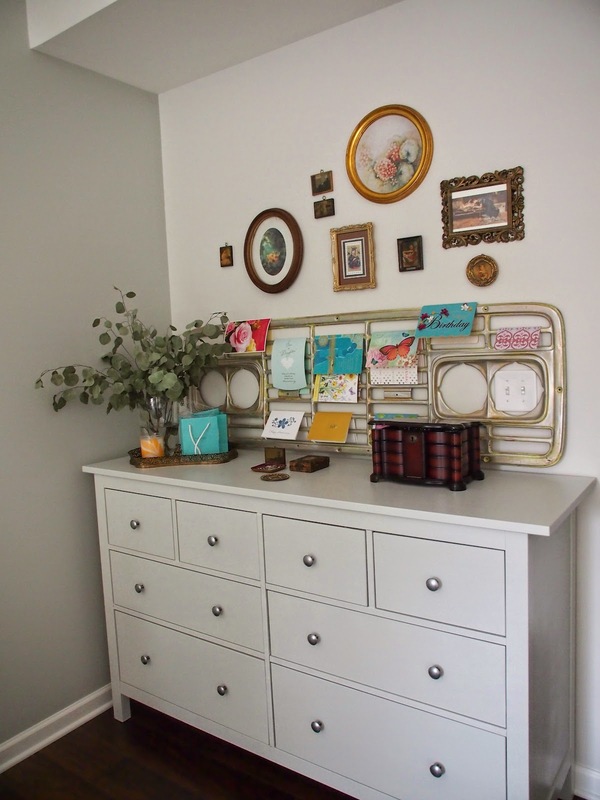 Since painting the room different shades of gray and white, I thought it would be great to have a crisp new gray dresser as well. I went about removing the existing drawer knobs and painted the wood with one coat of primer and 2 coats of Benjamin Moore semi-gloss paint in Gray Owl (OC-52). It always surprises me how fast painting projects finish once you actually take the plunge and start. Before I knew it the paint was dry (I let it sit for about 2 full days for the semi-gloss to really set) and I was putting the drawer knobs back on. But before I put the black knobs back on, I polished each one with this silver wax product that I love. It allowed me to turn the black knobs into brand new silver knobs with just a few buffs of the polish. I'm so happy I didn't have to get rid of the old dresser, and now I feel like I have a brand new piece of furniture. Once I've had a chance to post the other little projects that I have finished in the room, I'll be sure to pan out and show you how the dresser fits in with the decor of the whole room.